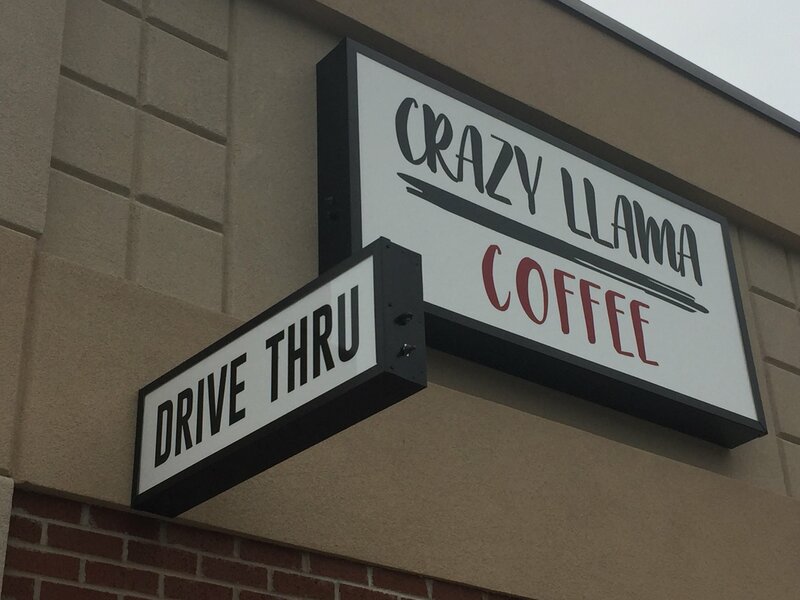 Crazy Llama Coffee in Webb City, Missouri has joined the group of independent coffee shops, cafes and bakeries supported by Columbus, Ohio coffee roaster Crimson Cup Coffee and Tea. Owners Randy and Stephanie Miller learned how to open a coffee shop through the 7 Steps to Success coffee shop franchise alternative program. Our customers say we have the best coffee in the four-state area. They can’t stop talking about our great coffee and nice atmosphere. People say it’s so much better than the coffee at large corporate chains! Columbus coffee roaster Crimson Cup Coffee & Tea recently welcomed Crazy Llama Coffee to the group of independent coffee shops, cafés and bakeries it supports in 37 states. The shop at 1206 West MacArthur Drive in Webb City, Missouri is one of 16 new independent coffee shops that opened in 2018 through Crimson Cup’s 7 Steps to Success coffee shop franchise alternative program. Before deciding to open a coffee shop, the Millers were both officers in the U.S. Navy. After their service careers, Randy worked as an engineer and plant manager in the manufacturing industry. Stephanie continues to work at Webb City High School. The couple learned how to open a coffee shop through Crimson Cup’s 7 Steps to Success coffee franchise alternative program. Based on Ubert’s book, Seven Steps to Success in the Specialty Coffee Industry, Crimson Cup’s 7 Steps program has helped hundreds of independent coffee shops in 37 states open and stay and business. 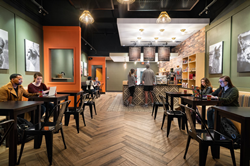 Crazy Llama Coffee serves a full menu of hot, iced and frozen espresso drinks – including mochas, lattes and cappuccinos – as well as iced coffee and tea, cold-brewed coffee, hot chocolate, fruit smoothies and other custom drinks. The shop also serves Crimson Cup Nitro cold brew on tap. An assortment of breakfast burritos and baked goods rounds out the menu. The signature Crazy Llama Mocha, which melds white chocolate and caramel sauces with espresso, has been a big hit with the Millers and their customers. Stephanie Miller also recommends the Jacked Up Llama, a frozen peanut butter mocha with protein powder. She said local java lovers rave about the coffee, roasted by Crimson Cup. “Our customers say we have the best coffee in the four-state area,” she said. ”They can’t stop talking about our great coffee and nice atmosphere. People say it’s so much better than the coffee at large corporate chains!” The shop has a 4.9 rating on Facebook, with over 100 recommendations and reviews. Crimson Cup coffee has been judged among the best in the nation. The roaster was named 2016 Macro Roaster of the Year by Roast magazine, the flagship publication of the specialty coffee industry. Its Ethiopian Kossa Kebena coffee won a 2017 Good Food Award and is a finalist for a 2019 Good Food Award. Crimson Cup coffees have also brought home trophies and medals from the America’s Best Espresso competition and Golden Bean North America roasting competitions. Columbus, Ohio coffee roaster Crimson Cup Coffee & Tea is Roast magazine’s 2016 Macro Roaster of the Year. Since 1991, Crimson Cup has roasted sustainably sourced specialty and craft coffee in small batches, which it sells directly to consumers and as wholesale coffee beans. The company also teaches entrepreneurs to run successful coffee houses through its coffee franchise alternative program, which includes a coffee shop business plan. Crimson Cup coffee is available through a community of more than 350 independent coffee houses, grocers, college and universities, restaurants and food service operations across 37 states, Guam and Bangladesh, as well as the company’s own Crimson Cup Coffee Houses. To learn more, visit crimsoncup.com.